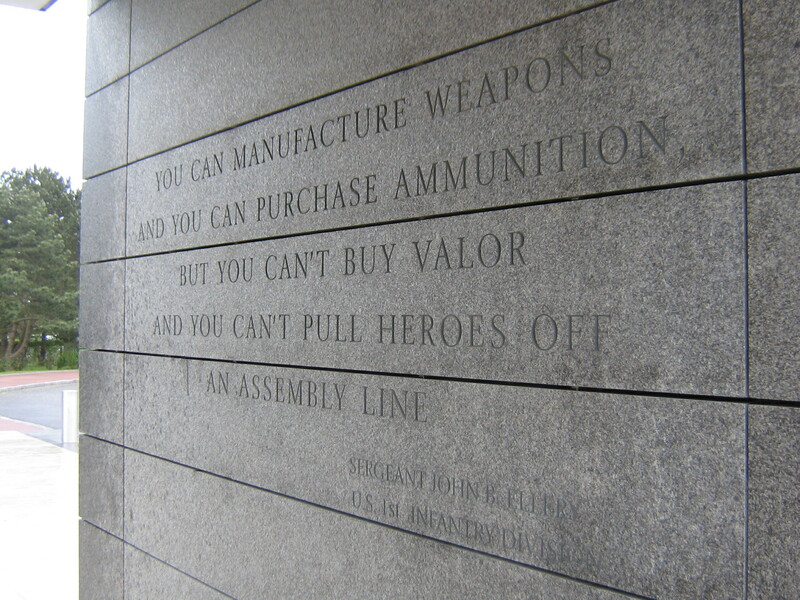 This quote greets you as you approach the visitor center at the Normandy American Cemetery at Colville-sur-Mer. The vistitor center complex was completed in May 2007. The cemetery was opened on July, 18 1956. The 172.5 acres that comprise this cemetery are the final resting place of 9,387 American Soldiers. When you enter the cemetery, you are on American soil. In gratitude for what the United States did for France, in World War II, France gave the cemetery lands and beach below to the United States.